The Golden Age of Social Media Is Over! Cambridge Analytica is a milestone. We are witnessing the end of the golden age of social media marketing. Would it be, dear? Look, Facebook is still very profitable, you can say that everyone is using Instagram, but I can explain what I mean. Perhaps knowing, maybe not knowing, doing marketing through social media, we have told people very wrongly. People who have shown social media as a new sales channel. If you have an e-commerce site, we say that if you are selling online services, you should definitely sell from social media. We did it wrong. Time showed us why we did wrong, invested in ten, did not make any significant sales from the social media in exchange for ten creative opinions. At the moment, the majority of large e-commerce sites receive about 3-10% of their revenue from social media. They do the overall sales through search engine optimization and marketing. What was the contribution of social media investments? Of course brand awareness. Markets clearly see the impact of social media on brand awareness and made investments. But with every big and small brand entering, Facebook has put a new term in my life. edgerank. With the EdgeRank algorithm we noticed that not everyone who likes my page can see our submissions before 10% then 2% and finally 0.5%. As a matter of fact, creating a regular sharing calendar in social media and constantly producing content did not make much sense on Facebook side. Twitter has already fallen in the eyes of long-lasting brands. Twitter, which is not preferred because of its political environment or because it can not address the general public, left us with one alternative: Instagram. Instagram had a huge disadvantage for brands. There was no share button. We have entered into tiny games so that our exploit can be dropped to make up for this incompleteness. This is the reason why fraudulent likes are so popular or have been using dozens of irrelevant hashtags that are related to one another. Small brands have begun to sell through Instagram in a way that they can get 5-10 packages a day. This is a very big number for many, and they love Instagram very much and invest all their labor and money investments in Instagram. But for big brands, the business was rather troubled. You think Hepsiburada is sharing the product code in Instagram and trying to sell through Whatsapp. I left it funny, no communication, no big job loss. Thus, there is no logical move that big brands can do other than show the 3-5 visuals to the target mass, just like in Instagram, and just do the billboard dressing. Could we have been able to show people three or five pictures, videos, what makes social media social media? No way. We would be able to dominate the social media as a valuable asset. Unlike many, I find it right that Cambridge Analytica does. Is not marketing already convincing people? Yes, they were involved in a little lie, but they taught us a great deal. We can rule over people's thoughts. We can sell what we want, the product we want, we can hate the product we want. What more would a marketer want? But this dream was in the air. When the Cambridge Analytica scandal arose, data access, which was already pretty low, was almost completely shut down. Now we can hardly capture data via Facebook or Instagram. Social media was a powerful thing, we could not determine who we were advertising. I'm not talking about targeting those so-called "interested in health". We were able to target the person directly. We could foresee that from the content that the person likes, we could get a meaningful correlation from the pages and get the product of our brand. Now that we can not get new social data, a digital marketer will not be able to do that. Gradually, many brands will start to understand that it is the money's haggard that allocates social media and will be attracted. The media buyer will surely continue, but the content management department will not be able to see the coming year. Ever since digital marketing enters our lives, terms and methods are constantly changing. Maybe someone who learned traditional marketing 15 years ago might be able to do business on the market right now, but when someone who worked on digital marketing last year went to a soldier, he would almost start from scratch. Now this new age requires a different approach. In the past, when you were trafficking in some way, you were selling but now the alternatives are up. Traffic is much harder to attract. I remember that in 2003, when I opened my first blog, I was able to attract more than 1 million traffic to my absurd content. Now when fifty thousand people arrive I say that they made good traffic this month. We are about to reach a traffic satisfaction rate, especially in e-commerce sites like this one. We are now entering a turn to improve our traffic better. Now is the turnover optimization. The times when we can only sell traffic to our site are going to run out, and when we share good content in social media, this content has been viralized and circulated and it is over. It is now a better valuation of declining traffic as it has spread to different sites. For this, investments in social media content need to be done in A / B tests, text writing, technical SEO. When social media took the customers to the web site in the golden age or the same turn of the year in the age of getting used to e-commerce, we were selling and enjoying the alternative sale. But if you sell a product to a customer due to increased costs and falling profitability, you can only come to the break-even point. You need to sell that once again to the new flat, once again, then once more. The LTV (Life Time Value) metric should be more in our lives. We need to spend more time and money on customer loyalty and retention. Because the new regulator will only be able to keep up with those who can sell more than one customer at a time. While logistics, advertising and labor power costs are increasing, you can not provide profitability any other way. Are you aware? Now, nobody gives Adwords ads to anyone, does SEO work, or advertises on social media. Because everyone has already done it. The market is about to reach saturation. How you transform this captured traffic that will make a difference. He's not finished. You are reselling the same traffic and your friends from the same traffic are sent to you. Affiliate or Influencer Marketing is still a good method for WOMM. Especially, I can say that the Influencer Marketing initiatives such as CreatorDen started CPC based influencer work and provided very good sales figures. The new trend is not to produce content yourself in social media, but to transfer that energy and budget to the influencers. Only meaningful and segmented traffic can be provided in this way. But there are 5 million follow-up accounts that come to mind when it comes to influencers. An account with 5 million followers will not have a segment. Remember that micro-influencers are in circulation. At a time when social media-based marketing is no longer feasible, we have to make more sales with scarce traffic. In this period, only those who can optimize incoming traffic will survive. I'm going to talk to you about chatbot marketing and what they bring. In particular, the fourth generation of digital agencies seems to be creating chatbot technologies. 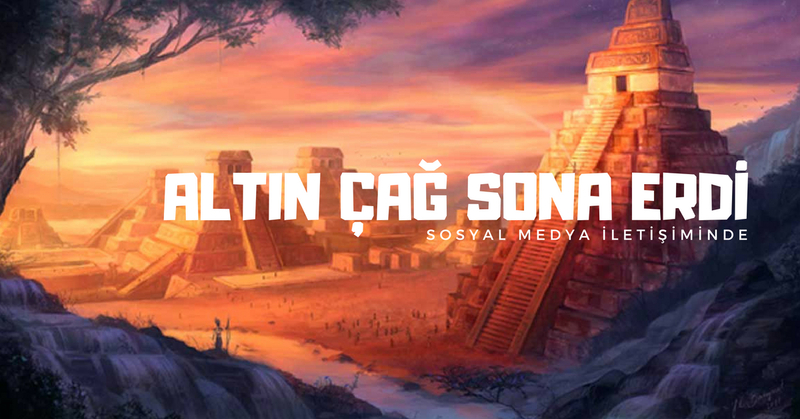 We can divide the history of social media marketing into four parts in Turkey. The first phase of the setup (2008-2010) we talked about could be done through social media, especially when big companies met with Facebook and Twitter, paying 4-5bin TL for a page setup. It is a fact that this period is very sweet, so we experienced the first loss of confidence during this period. The second period was the beginning of social data madness (2010-2014). As a result of Facebook's API limitations, many agencies are no longer able to record data on Facebook. Social media agencies do not need to run dozens of software developers, the technology-generated projects are almost over. Now that social media agencies have entered the third period (2014-2017), all social media agencies have begun to produce more content-focused, even more gif and video-focused content. The social media agencies have turned into a production agency. Creatives for brands were being prepared, fees were charged per piece. Eventually, another cycle is over. We now have a new era in social media marketing. This is an era in which we start to produce technology and collect data. This age is the age of Chatbot. Chatbots will center on our marketing strategies in the coming years, along with developing artificial intelligence and machine learning. 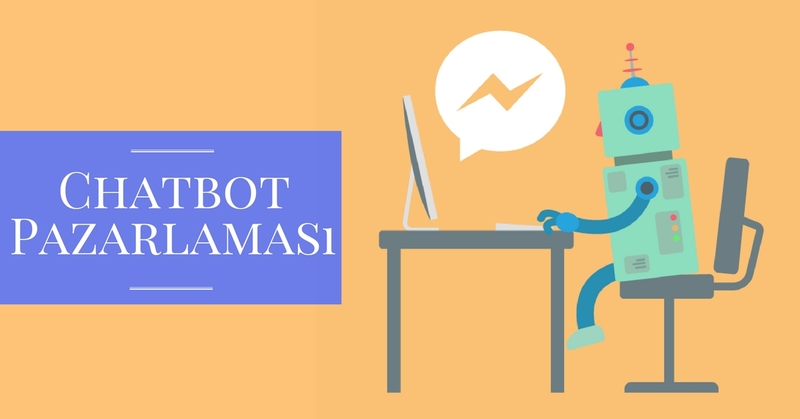 Chatbots now work in a way that is compatible with the WeChat technology, Amazon Echo, Android, Cisco Spark, Discord, Email, iMessage, iOS, Kik, Line, Facebook Messenger, Skype, Slack, SMS, Telegram, Twitter, Viber, Web and WeChat. Within a few months, whatsApp is going to be added to this list. With the development of WhatsApp's desktop versions, more and more companies are now using WhatsApp. Companies were also able to aggregate data from conversations that took place in WhatsApp or Facebook Messenger. There are dozens of applications running with the Messenger API currently being the key to collecting different types of data. With the requests sent through the Messenger API, you can get access to all Facebook APIs much more easily. Especially in the interviews with Messenger boots using gamification, you are stunned that new permissions can be taken without disturbing you so much. We can say that the data collection period has started again, especially with the benefit of brands. In the past we used all the Facebook apps for users by making small quiz applications. 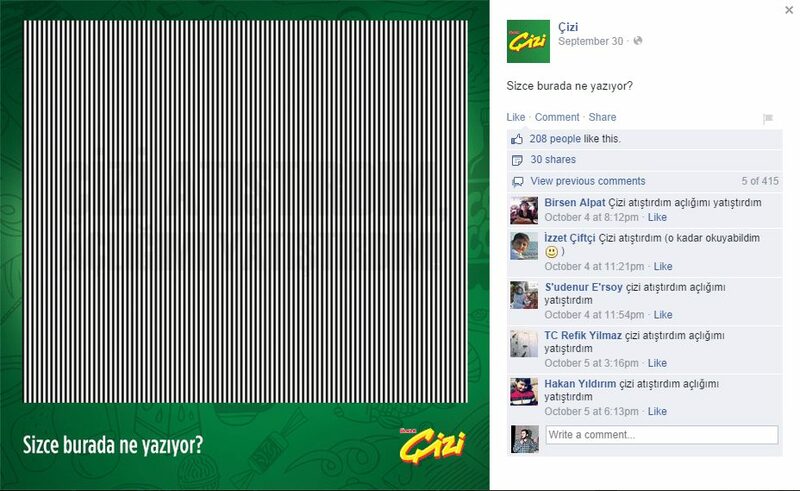 The user is connected to an application to answer questions about Galatasaray or Fenerbahçe. This application gets information from him, such as relationship status, first name, last name, phone number, e-mail address, favorite pages, friend list. Facebook now gives this information to Facebook for no reason. The brands and agencies that are aware of it are also trying to create a reason for it. Messenger boots are a great reason for this. For example, with a bot Marketing API that will give you a few suggestions about your Facebook ads, your entire advertising account can get your data. This allows you to see how much you spend, what kind of brand you are working on, and what kind of advertisements you give. Is not that kind of data that a brand that will target digital marketing experts will want to get? On the other hand, for example, a detergent brand might ask you to access your Facebook API again in order to ask a few questions that have been developed along with boots and scripts. In line with the information you receive, the boat can tell you that you need to dry your laundry in the balcony or in the house while drying your laundry by telling the air pollution rates according to your city. To say this, you will have saved many of your data in the database. The most important feature that distinguishes the digital tradition is that you have access to the data anyway? Traditionally, you can customize your marketing strategy even if you are performing a blind marketing, even if it is digital, based on people's habits, demographic information, or even other applications that they use on their phone. The Messenger bots that provide the user with any benefits and the WhatsApp bots in the future can also increase the data size. On the other hand, boots can be used as a marketing channel. As with a marketing channel, you can send instant messaging in bulk, just like with desktop push notifications. It's like a new SMS marketing experience, but it's not read by anyone like SMS, it's really a new marketing channel Messenger bot that's really being read. In addition to marketing, boots are used for sales and CRM. With the artificial intelligence that can be developed, you can develop a system that responds instantly to many routine questions. The only limit to how you can improve these answers is your imagination. With the data you get, you can take the user back to the Messenger conversation again and talk again on getting new data. In data acquisition campaigns, data is usually acquired once, and needs to be continuously updated. Separate campaigns are organized for each update. But with Messenger boots, the data you get from the Facebook API is always up-to-date, and other data you get outside of the API can be retrieved repeatedly with small questions. In particular, the responses you receive from users along with the strategies of play can be much more honest than any other data collection method. When you combine this captured honesty with legal marketing methods, you can get a magnificent picture. Another feature of Facebook Messenger that is currently in beta is that you can shop through Messenger. On your credit card you can order the product with one touch and you can shuffle it to your home. If you place an artificial intelligence sales representative behind it, you can convince the customer that the store is convinced that the store has come. Especially in digital marketing, hot selling is not possible. Fill in the form, we'll call you or our sales representative will contact you as soon as possible Instead of cliché answers, you can now have your system switch to a dialogue with the customer. As a result of this dialogue you have to manually intervene in very unusual situations. Usually the client can not even understand that a well-structured artificial intelligence is an automatic bot. Even the gradually changing user habits will be the end result, and nothing will change for him. At this point, we have to tell the truth about the benefits of our boots and brands. When we are selling bots as automation only at a time when communication is personalized, this is counterproductive to brands. Messenger boots need to convince brands to collect social data, to be a new marketing and sales channel. The Chatbots will Survive the Marketing World! Chatbots are growing very fast. 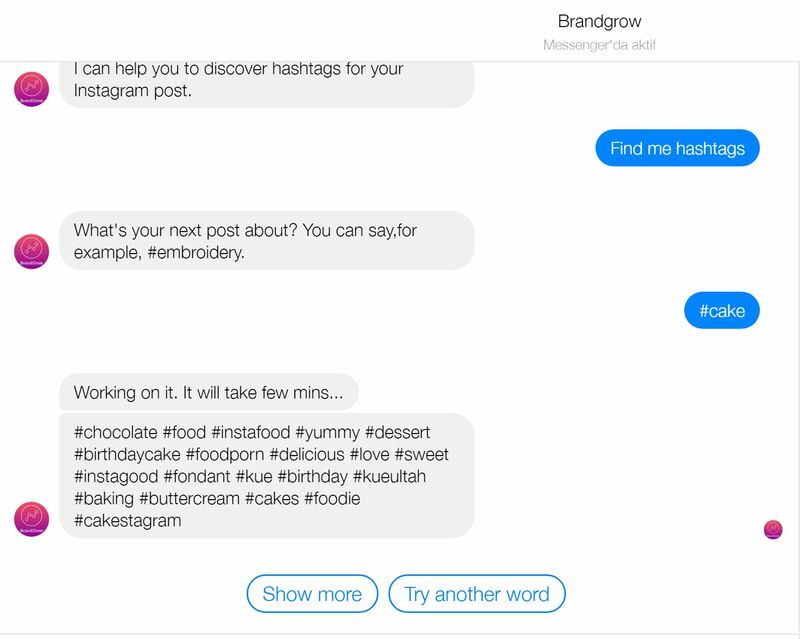 I have come across hundreds of different types of creative chatbots, especially in these examples, I would like to talk about how chatbots can be used in marketing. I think this sub-platform revolution will be seen when Whatsapp publishes a chatbot installable API. But preparations should already be started. There is a feature that people do not know about, especially on Facebook Messenger; Broadcaster. You can send sponsored messages to anyone who sends you messages via Facebook's new sponsored message advertising model. But there is a reason why it is rarely used. To use this ad, you need the minimum CPC 5.5TL Now you need to set it as. Just as LinkedIn's 2 € message cost is very expensive, this feature is also very expensive. At the same time, the feature is very useless because you can only target senders to you. It is likely that this ad type will be updated in the coming months. But thanks to chatbots, we do not even need this ad. If someone has sent you a message by clicking "Start" while Chatbot is installed, you can send it an automatic message until it is unsubscribe again. If 1000 messages have been sent to you by today Broadcast feature With one click everyone can send the same announcement message. This feature is now in our lives as a new holding channel in digital marketing. Especially news sites started to use this feature frequently. On the other hand, you can easily reach the promotional messages that you want to give to users who have already communicated with you. Considering that SMS is no longer used in this respect, a very effective channel has been eliminated. Messenger messages that you can look at are sent to you as if you are opening your computer like push notifications sent to your desktop, with 20 notifications saying "nooluyo lan". In order to provide this, you need to increase your subscriber number as soon as possible. To increase the number of subscribers, I encounter very nice chatbots. for example Brandgrow it helps me with which hashtagi I need to put in an Instagram post. Or, for example Surveybot It helps to organize surveys through Messenger. Swelly is the most comprehensive bot I've ever seen in my life. Make it really halal, you can talk for hours. It is so beautifully designed that you give your all kind of data and you do not think at all. The bot sends two content to humans and provides comparisons. The other user of the bot compares the two contents you have sent and the results come to you. I call it Xiaomi or iPhone. BOTLIST you can explore hundreds of different boots. I I chatbotI wrote a small AI that can answer basic questions, but the use of Chatbot applications is so easy that you can do much more detailed projects. Since I am using the ChatFuel application APIs, I am able to go to a lot of greyfits. Automatic voice and video sending, location sharing, Google and Bing search result, Via IFTTT Linking content from Youtube, Twitter and Instagram accounts, Through Zapier RSS, Youtube, Google Sheets, Google Calendar, WordPress, Slack, Twitter, Instagram and Vimeo. My favorite feature is RSS connection. My articles automatically subscribe to my latest articles when subscribed via Messenger. Read rates are 90%, click-through rates are around 20%, higher than my email subscriptions. In order to win the subscriptions, I still have Facebook ads. You can create "send message" campaigns via message ads. Anyone who asks you a question, who wants a price, will be able to speak with your chatbot and be included in the subscription. 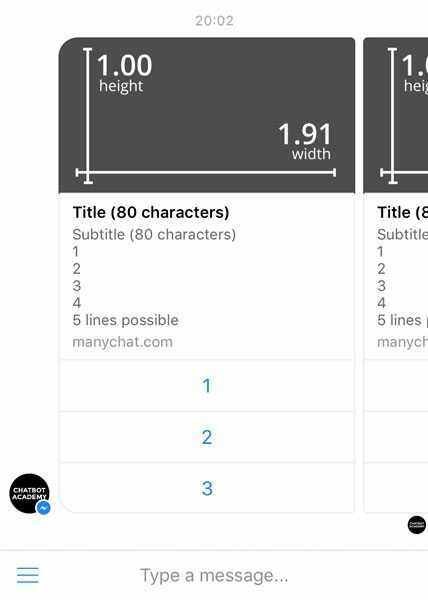 When editing in Messenger chatbots, it is necessary to pay attention to visual dimensions and word lengths. The image must be in size 1-1.91. You can add scrolling content 10 times right in the gallery, you can add 3 buttons to each area. Emoji usage is very common especially in content. On the other hand, the use of gifs in greeting messages can also attract a warmer affair with you. If you send messages with different domains Domain Whitelist you will have to be aware of the incident. In your messages there is no rule for you to put out a subscription button but still it will not be bad to put it ethically. The ChatBot setup on your page allows you to answer questions more frequently and to run fewer elements. On the other hand, you can easily get the green message icon on your Facebook page with boots while it is very difficult to get it with manual answers. It is very difficult to attract viewers, especially when broadcasting live. Those who know the live broadcast experience on Facebook, Facebook sends very few people to you. The number of viewers you can not advertise is very low, and the production you are preparing is a pity. With Broadcast you can instantly direct people to your broadcast. For those who do not know IFTTT and Zapier, there are two great tools that connect your life to automation, one that is used for a job other than your own. These tools also provide ChatBot integration. One of the reasons for choosing Chatfuel is the integration with Zapier. On the other hand, I can say that IftTT allows me to keep a close watch on the industry whether Hot topics in Producthunt instantly receive Messenger. Chatbots are able to feed you constantly. The limit of what you can do with Zapier's unlimited API support is only your imagination. Chatbots offer us a whole new way of doing business. for example Leadz to The bot connects to your ads with the Facebook Marketing API and gives you suggestions on how to optimize your ads. It does not just stay with the suggestions, it also gives you the average bid value by sharing estimates. These features will soon become available for sale, while at the same time they provide very detailed data as if they were tabbed for a while. I think the agencies will soon be discovering chatbots to get social data. Influencer Marketing How To Do And Not To Do? The concept of influencer is quite mixed. We can say "Effective Person" as Influencer's full Turkish counterpart. However, in the digital marketing envi- ronment, we can describe exactly what people have been following, making decisions in a vertical, listening to promises, and making decisions. Influencers are often confused with phenomena and celebrities. We call celebrities, those who are well-known outside the digital world, as you ask the man in the street. So a Tarkan or Cem Yilmaz is not an influencer. On the other hand, if we need to define phenomena; Twitter, Instagram, Facebook or Youtube has reached a massive audience of followers (not just that) people are saying to people who really do or say what they are saying. In short, what I mean is that we do not have the phenomenon of people who follow 1 million people on Twitter. Because if people take out from the follow-up they continue to follow me saying that they will follow me. It phenomena of flashing There is no impact on their communities. What matters is whether or not the mass is capable of acting. Every day it becomes harder to understand. For example, the way to figure out whether a phenomenon has the power of influence is by looking at its interaction values. It's a tough chance to get a tweet 10 like a phenomenon with 1 million followers. If hundreds of thousands of people need to fly in the air and their interaction rates are so low, thinkers are first bought, and secondly, just I follow the motivation of "pull me out and follow me out" but I do not like tweets. Crawling phenomena have also begun to produce false interaction by finding a way to do this. This method is as follows; you will definitely receive a message from you that "Your Twitter account has been logged in from Bitlis, please click the link below to verify your account". The accounts of users who click on these and similar messages and become their passwords become a zombie account. They are doing tweets on these accounts as they like and doing TT as well as interacting with their own accounts. For this reason, it is very difficult to determine which phenomenon is really interacting and which does not. Some of the phenomena exaggerate the work, and they give rhetoric on the ridiculous topics in order to say "I have an influence on the media." The press also publishes content by saying that this is the phenomenon. When he saw the fact that he was a phenomenologist, he said, "AAAA this guy is an effective phenomenon." It really is a effect the number of releasing phenomena does not exceed 15. Will the money you will pay for celebrities really meet? If the work is in the dimension of celebrity, very high sums enter. If you are asked for a tweet or a 10K charge for an Instagram post, the mark should stop and think for a minute or two. I can not reach this audience with Facebook ads. As a matter of fact, people are now looking more at what other people offer than advertisements because of the thousands of ads they are exposed to throughout the day. For this reason, instead of reaching people with direct advertising texts, reaching them through someone they love always brings better results. But because of the high prices of famous use, it is necessary to do a good analysis. With the 10K you will give to the celebrity really there may be a big difference between 500 billion people who will reach you with Facebook ads by spending the same amount instead of the 30 billion people you can reach. This is entirely your mark, it varies according to the work you do, but it is useful to stop and think before the famous use. Twitter is actually watery. The celebrity / phenomenon usage on Twitter is largely overrated. It is no longer as much awareness as the old one, nor is it a direct influence on sales. But the golden age for Instagram and Youtube has just begun. Instagram phenomena are becoming more and more difficult to detect every day. You can understand buyers immediately because of their low interaction, but you have to undergo a lengthy review when the interactions are forged. In the Instagram, each shipment usually receives an average likeness of the same number. If some senders have received unbelievably low likelihoods, they are likely to have interactions with that account. It was made with boats. The Story part of Instagram, which is starting to enter our new life, is also a great place for influencers and phenomena. Now that they have direct links to their web sites, they can make promotions for brands much more comfortable. Finding the right phenomenon in Instagram is easier than Twitter, but the easiest place is Youtube. It is very difficult to fraud on Youtube. If you buy fake subscribers or fake shows anda Youtube is hitting the top. Youtube is especially sensitive to counterfeits. If you choose a vlogger, you can easily select it by looking at the watched figures. Now let's come to the Influencers who are our main positions. Influencers are people who are experts in a subject, followed by fewer people. It is very important to use these people in the right projects. If you see me introducing a makeup product, you will probably make fun of it. This is for all the influencers. You should always keep an up-to-date list of influencers related to your sector. You should reinforce your communication with these influencers and stay constantly elbow-like. Especially in times of crisis, the influencers you are talking about elbows will be very helpful. Bloggers, vloggers, instagrammers, and more, will be partners who will give you a way to tell the public about your crisis communication. Because in the event of a crisis, every message that comes out of you may pull you further down, but people who see the face of an influencer with prestige will calm down and start to empathize. Influencers do not have hundreds of thousands of followers. However, there is a heavier follower mass. Most of their followers speak and speak individually. The work you will do with these influencers must be in the domain of influencer's expertise. On the other hand, ads should not smell. You can not divide the entire contents of your content on Youtube by your own mark. A video of 5 minutes is enough for you to be only 20 seconds in length. Adblock extensions would not be so popular if people liked to watch ads. Without influencing the sector, the influencers from all sides, the influencers who are involved in the matter, are saying, "The only thing they are following is that the food blogger and the technology blogger are on the same busses" and you lose the influencer. It is also a big mistake to call every one of the influencers within the sector without knowing the balances within themselves. Generally, the influencers are group by sector. Groups do not like each other very much. There are some influencers that everybody in the industry excludes. You should know these things to the finest detail and make your organization accordingly. Gifts to influencers are also very important. In Turkey, no one is fooled here influencia on a flash memory. More original gifts are needed. There is no such thing as being expensive with the province, even if you plant a sapling in the name of TEMA Foundation, it will be a very elegant gift. Keeping good with influencers should not be just a gift. Gift makes you happy but does not offer a binding commitment to you. Come together fondness you need to. The more you become a dude, the easier it will be to work with the influencers. Of course, you will send ads from time to time, send gifts, but your first priority should be friendship. For example semrush employees when they come to see me necessarily to Turkey, would happily send out a search of gifts. I also know that this brand is mine my friend. I am happy to help her whenever she gets tired. Influencers are also people. They also care more about friendship than anything else. Influencers will increase your effectiveness in the sector as much as you are friendly. your brand Content Marketing Consulting Would you like to be able to call with a wider audience? How to Develop a Playing Strategy in the Social Media? Playing is one of the leading trends of our day. Actually, play has been used for centuries. From education to marketing, it is possible to come across play in all areas of life. I am convinced that Foursquare is revived in your mind when it comes to acting. I'm sure you've read the gameplay tactics that Nike +, or Foursquare, or the Foodservice have done. In this article I would like to mention some of the strategies of socialization in social media. I need to introduce you to a mob before you enter the subject. Campaigners. These people we face on Facebook, Twitter, Instagram, and sometimes Tumblr pursue a career campaign. This is probably a psychological disturbance. I'm going to try to tell you a little bit how deep this is. These people are at the computer at 9 in the morning and up to 12 at night. At least 30 fake Facebook, Twitter and Instagram accounts are available. These accounts track the contents of all brands individually. Especially they follow the forums and sites established for this job only instantly. When you publish a brand new campaign of any brand, they come to your campaign by notifying each other. If your content needs to be shared in order to win the prize, they will share it from all accounts individually. All participants are followed up momentarily and you narrow down until you reveal the outcome of the campaign. When Heliki's results are announced, they can not win. Especially in campaigns organized through social media, there are all details about the permission of the National Lottery Administration, which many people do not know. Make sure they know a lot of things even from national lottery agencies that work on this field. If they do not win, they immediately complain to the National Lottery Administration. Therefore, it is beneficial to carry out the campaign of the campaign you have organized as transparently as possible. I have made the entry especially with the campaigners, because there is definitely a reward system in the gameplay and you need to sort out those campaigns that want to abuse this reward system. The game is a great way to get people moving. I have a theory that I have told you in my lessons. With this theory it is always easier to produce content. "We should accept everybody as an idiot after we go through the computer." In terms of idiot How to Prepare Images and Texts for Social Media I mentioned a little in the summer, but I think this is going to be an article. People are not able to focus because they are exposed to a lot of messages at the computer, and they can not think of things that they think they can normally think of. For example, the plot content of Draw. Now take a minute and try to read what you wrote on the visual. If I did not show it in my class, all the students tried to see what they wrote visually for a few minutes. Some of them went to the rear and looked at the different angles. In social media, people are focused on solving the question in the face of this challenge. However, the comments on the right side of the visuals do not attract anybody for the first 5 minutes. However, 420 different human siblings have written the same comment in the lower alta. Why are people so enthusiastic about writing 421 comments? To prove they are not idiots. Social media is a kind of social evidence. It is our main goal to show people how smart we are and how beautiful we are in social media. It is one of the premise elements that satisfy ourselves to prove ourselves to our friends in such tiny games. Using this incentive, we can use social media to play. People love games at all ages. 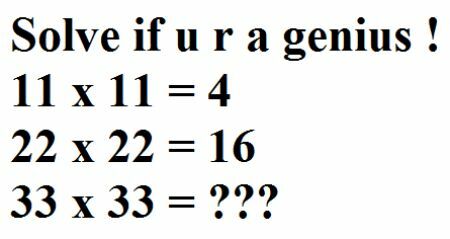 Or how would the big "CEOs" at LinkedIn try to solve the different versions of the same mathematics questions for hours? Another great example, what's the difference between 7 and 10? There are tens of thousands of people who are trying to find the differences between the minutes and the minute. There is not a target audience that the game player can not influence. It appeals to people from every age group, every SES group. However, we should not confuse the play with classic campaigns. In social media campaigns the prize is usually social evidence. As in the example of the plot, it is a pity to be able to answer the question correctly. So you do not have to distribute dozens of iPhones by saying that I'm playing. On the other hand, if possible, do not deploy iPhone. The worst gift that can be given is if you are not a Turkcell. Each brand should give a gift that can be related to itself or related to itself. Also, if the prize to be given in the game is great, it will be for getting the prize for participation. Our goal is to teach and tell something to the user. I need to get some help from a child psychologist about giving an award. For example, a 2 year old girl can be incredibly happy when we give her a star sticker because of a right behavior. As you explore, you realize that as you grow older, this motivation continues. At this point I have to make a footnote, if your employees are playing a game and you hear the phrase "give me a raise but not a reward", then you can not determine your award correctly. He has taught his slogan in the mini-game he has performed. If there was an iPhone at work, the results would be different. Participation would be higher, yes, but the content would not have reached its goal. Another way you can increase Challenge and participation in Playback is to specify the duration. If the plot was written in this way, the participation would be even higher if only 10% of the readers were able to read a mere 3% of the population. We're talking about a campaign that has a visibility of 7 million. As far as I remember, it lasted a few months. This campaign, which has a great game fiction, gave people a challenge. Capture challenge when phones are $ 1. The results are tremendous. One of the basic rules of playing is the fun factor. You should definitely include entertainment in the strategy you are going to achieve. Because there is no target audience that can say no to entertainment. Remember, the game can be a supportive, not an anti-worker. Roaming distribution is another commonly used method, even if it is influenced by Foursquare in playing. This month you can give the person who buys your product the most, or the person who gets the most interaction, a virtual badge that will honor it. There is no need for this badge to be in the form of a badge, for example, Verizon was linking to Verizon with an internete on Facebook and was doing a cover image with the profile photo of the person taking the photo on Facebook. In order to be the leader of that week, people were sending out photographs. Leader ranking is another element that encourages users. In McDonald's we are accustomed to seeing you for months, or SHOCK markets every day, "buy a premium, please buy another product," you can compete with your cashier, as well as apply for your month / week leader. This way you can get the action you want more easily. Remember, if we want to take an action on the social media, the most effective method we can apply is always playing. Try to incorporate play into your strategy before you dedicate all your money to Facebook ads for more interaction. 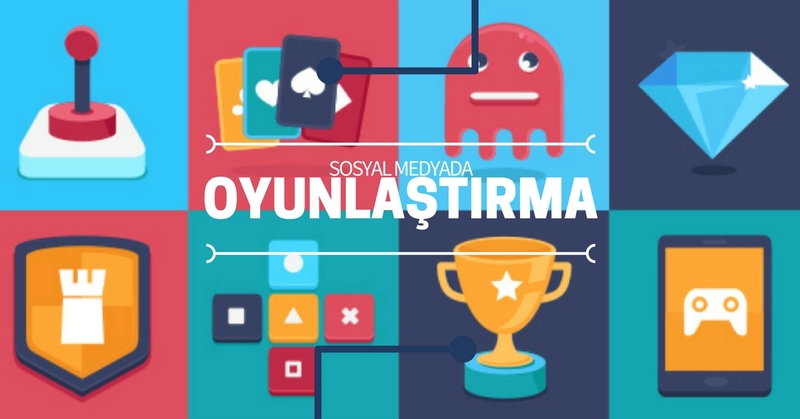 If you are interested in the role of the actor Ercan Altug Yilmaz's textbook PlaybookI would definitely recommend you to review.